Social emotional learning worksheet based on making good decisions. How do you show concern for others? Deal with anger? Deal with embarrassment? Deal with somebody who won't participate? Becoming upset? 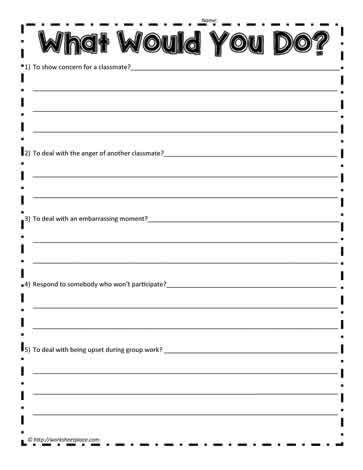 Social skill printables for students.